Hope for a better Jamaican design future? 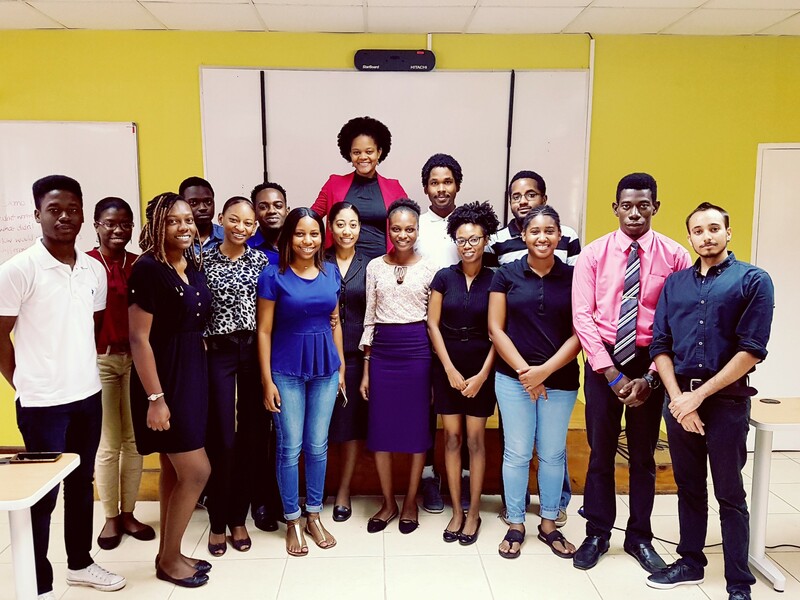 The interns at the NCB-UWI Digital Talent Lab and me (I’m not actually that tall). The motivation for my last post was simple: the need to consider real human beings when we design and develop digital products. While people-centric design is really not a thing yet for us in Jamaica, there are efforts underway to make it happen. NCB are among those trying to buck the status quo, with the set-up of their Agile Labs to develop digital products for the company. They partnered with UWI to create the Digital Talent Lab, a 4-month internship programme for 15 mostly final year Computing students currently underway. The challenge for NCB of course is that they need professionals with the right skills — and mindset. So, can the interns deliver? With digital design and development, it’s essential to consider all user needs before we begin. Firstly, we need to identify the problem that we’re here to fix, which means that we have to properly document the requirements. Secondly, if we don’t do the first thing properly, the product itself will be a problem when it launches: people won’t use it. My work with the interns was to get them to understand how to approach this vital first stage, to build a framework to document the requirements. What they struggled with the most was ambiguity, but unfortunately, the briefing you get as a designer or developer in the professional world can be extremely vague, so I deliberately didn’t spell everything out to them. The responsibility is ours as designers and developers to take hold of the process, and to work through the ambiguity by ensuring that we have a solid process for determining requirements. Young professionals have to get used to the fact that they must take initiative and ask questions. For some this might go against their educational experience, but they really have to brave this discomfort. So, if I’m designing an app that people are going to use, I need to find out who actually is intended to use this app e.g. do parents use this app with their children; or is it an app that children themselves would use on their own? Questions and answers like this will ultimately shape the design and success of the final product. Purpose: always be clear about the purpose of the product, including why the client who pays you asked you to do it! Empathy: you are not your user. Doesn’t matter if you are a similar age or demographic — the very fact that you are involved in the design project means you can’t rely on your assumptions because you know too much about the subject. The people you’re designing for will often have surprisingly different world views, needs and ethical considerations. Communication: incredibly important in the process because you have to properly explain ‘why’ to your colleagues and clients, so that they can see that your approach to determining requirements and making design decisions is valid. Future: the aim is not to get a complete or perfect design in one go. Prototype, test, tweak, repeat, but there has to be a stopping point — just as long as the criteria for doing so is defined, and there is a clear direction for what comes after, and when. Measurement: ensure you understand what success will look like throughout prototyping, and after, when the product is being used in the real world. Consider what about the product you will measure (e.g. popularity), and how (e.g. number of shared download links). Demonstrating the value in what you will do — and at some point, what you did — will keep you accountable, but it will also help you address the unanticipated weaknesses in your product. Denique is a Senior Service Designer at the SlashRoots Foundation, where she plans, manages and carries out human-centred design research. The SlashRoots Foundation is a social impact organization that designs digital tools and services to transform the relationship between Caribbean governments and their citizens.